Our 24 Hour Limo Service in Los Angeles is your convenient way to travel across the city without hassle. Airport ASAP provides limousine, stretch limousine, town car, and SUV transportation for business & airport travel. 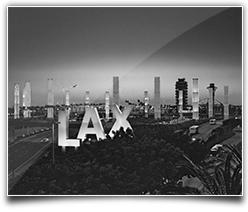 Our services extend to the greater Los Angeles area including Hollywood, Beverly Hills, Santa Monica, LAX, Burbank airport, Malibu, Culver City, Long Beach, and the San Fernando Valley. 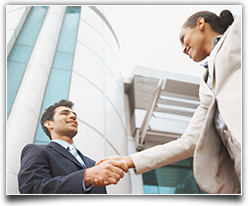 Our business limousine service in Los Angeles is an efficient way to deal with corporate business meetings. Open a corporate account with Airport ASAP and save up to 20% on our limousine services. We offer professional executive airport service and corporate transportation accounts. Whether you are traveling with a large group or alone, booking with our Los Angeles limousine service alleviates all transportation hassle within a minute. Our 24 hour Limo Service Los Angeles is the point-to-point transportation option for business person and travelers, who are seeking for limo ride services at an economical price. We offer incredible business Limousine Service Los Angeles on hourly or flat rates which offer you an option to traverse the city in a safe, timely and comfortable manner. Booking with Airport ASAP takes a couple of minutes and can be done online or by calling. We have been serving our customers in Los Angeles with top quality luxury cars at an economical price. Whether your transportation is planned or last minute, our round-the-clock availability has made us the most recognized corporate limousine providers in the geographical area. We also offer additional 20% discount for corporate account holders. No hidden fees and price are included in the price you pay. We do not compromise on quality and reliability. We pride ourselves on providing prompt and expeditious professional Limo Service in Los Angeles, to all our clients in minutes. Safety is the key and we at Airport ASAP ensure not to compromise a bit with this crucial factor. Our 24 Hour Limo Service in Los Angeles can make you feel absolutely safe and comfortable wherever you explore in Los Angeles. We certainly do not leave any stone unturned to prioritize the safety of our travelers. Airport ASAP has been operating in Los Angeles since long and understands the routes better than anyone else. The fact that the growing competition in the market has not been able to downsize us simply goes on to state the amount of credibility we carry as a reliable business Limousine Service Los Angeles. Undoubtedly Limousine lovers cannot settle for anything better than us. Your search for the best may take you around, however, once spot Airport ASAP, you can’t help but choose us for your traveling purposes. As Professional Limo Service in Los Angeles, we bet you cannot ignore us. Want to keep your drive comfy? Our Limousine service can match up to your demands in every which way. Thus, anytime the need for a drive arise, rest assured Airport ASAP is all set to serve you.